Veganism. While it’s not a lifestyle/eating pattern we personally ascribe to, we can appreciate why some choose to eat vegan. We’ve been in the nutrition game for a good while now and happily give snaps to those who have the mindfulness, privilege, and access to integrate fresh produce into their diet. What we don’t appreciate about the movement to eat a more plant-based diet is how incredibly white the culture of veganism is [really, it’s the whole world of health and nutrition, but we’ve already talked about that]. Scrolling for days, I only found a light sprinkling of POC women and even fewer POC men. 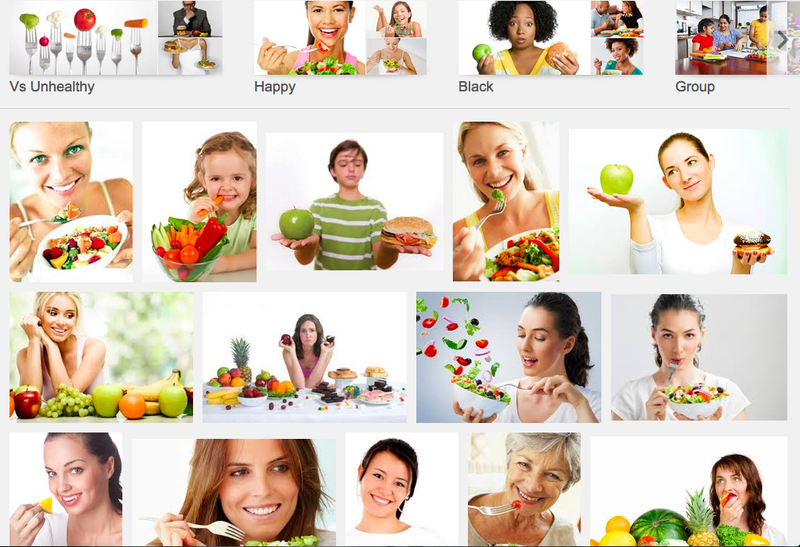 In fact, google kindly reminded me that if I wanted to see black people eating healthy, I need just add the missing descriptor , because, duh silly, white is the default race. Looking beyond google, the popular imagery of vegans is often dripping with race and class privilege, which can breed a sense of entitlement and lack of humility for the diverse eating habits of our global community. Too many times we have felt shamed and judged by the vegan community for our food choices, many of which are deeply rooted in our traditional foodways. So much of the rhetoric around vegan lifestyles is devoid of an analysis of its intersectionality with racism, feminism, environmentalism, and classism. It is the minutia of this everyday racism and food oppression, internalized in our subconscious and normalized into mainstream culture, that cumulatively builds a wall between our communities of color and the vegan world. The movement exists. Communities are uniting online and in person to redefine and reclaim what eating a plant-based diet means. As a non-vegan I cannot claim to be an authority on the matter and will, rather, point you to folks like Vegans of Color, Sistah Vegan, and The Food Empowerment Project to deepen our understanding of how veganism intersects with race, class, gender, and environmental justice, amongst many other movements for liberation. And for those who find themselves in Inglewood, California, let us know how the soul food at Stuff I Eat stacks up! Chef B’s reimagination of traditional African American foodways into new horizon of vegan opportunities is a beautiful example of POC folks claiming space and redefining the vegan lifestyle. I live down the street…There are a lot of health conscious people living in this community…and they needed me here. They needed this situated right here where it is and why not? Why not a good vegan restaurant in my community? We just love seeing empowered POC folks building spaces for their communities to join movements toward health and giving everyone the opportunity to move money toward POC economies. Seattle area folks, worry not! there’s always Araya’s Place, which has a pretty delicious all you can eat vegan buffet. Wow, veganism for people of color. As it should be! Good article.